You lost half of your face to some unfortunate accident while alive, which led you quickly to the grave. 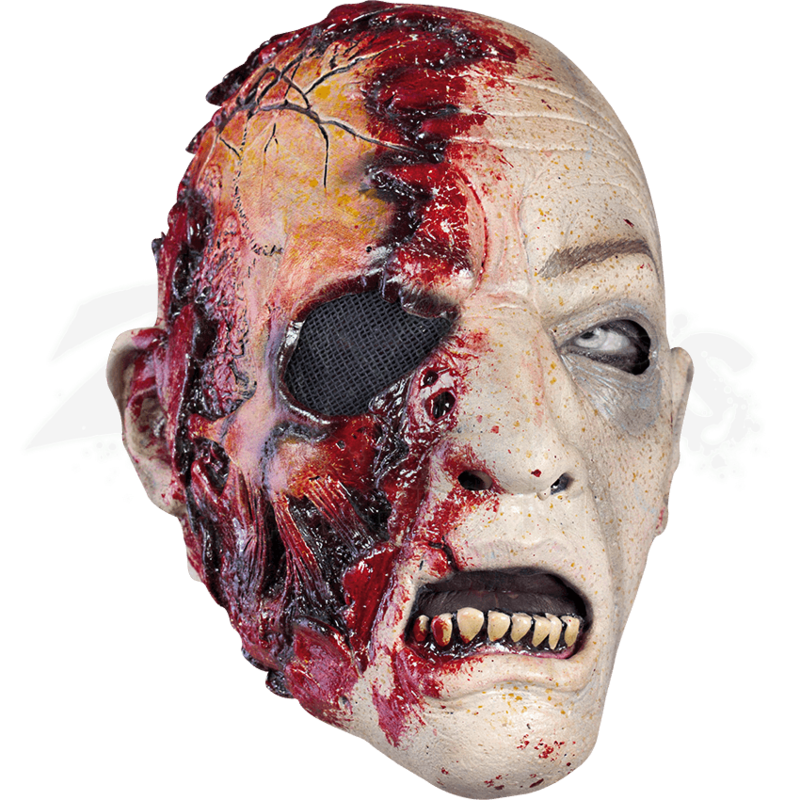 Give people a second chance to witness your gruesome wound as you rise from the dirt wearing the Half Bloody Face Zombie Mask! 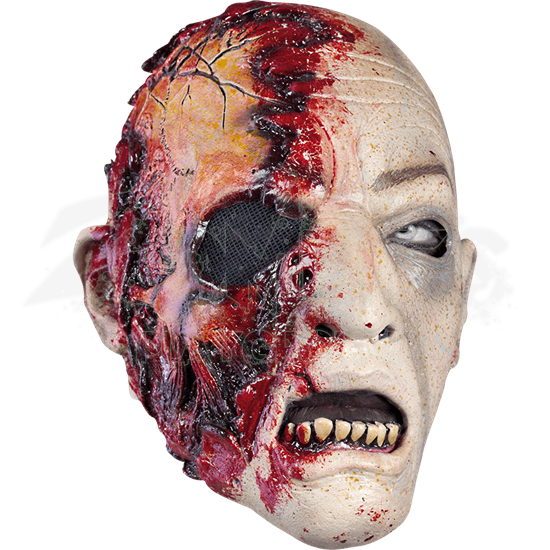 Made from 100 percent high-quality latex, this grotesque zombie mask is modeled in the likeness of a pale-skinned, bald, man. Half of the face of the mask is cut jaggedly, revealing a cracked and bloodied skull underneath. Put on this hand made zombie costume mask and scare the pants off unwitting humans when you shamble down the street this Halloween or at your next LARPing event!